Sorry no more bees available for private homes for 2012 (bees all ordered and paid for,) but you can get on list for 2013! Sign up to be on top of list for 2013 by e-mailing your contact info, hive location, and number of hives. 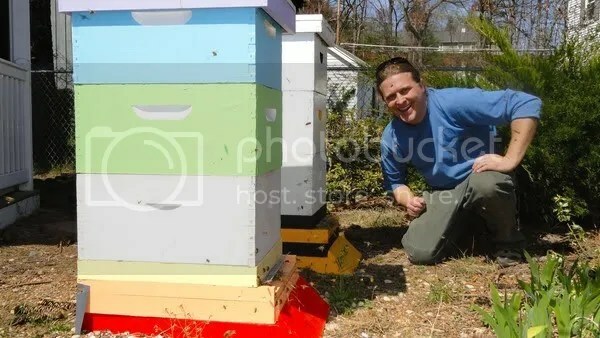 *A hive located and maintained at your qualifying place for 2013. As simply as doubling down on the benefits of one Hive-At-Your-Home. You can pay through Paypal (credit or bank) or by mailing a check but I want to talk to you and confirm first. Review “Qualifying location for having a Hive At Your Home requirements” in Frequently Asked Questions page. 2012 reservations are closing VERY soon, bees are sold out, I bought extra but those are dwindling. Contact me quickly or I won’t be able to provide bees until 2013. I live in rural Hudson NH, and would love to have a hive here. I grow lots of flowers & blueberries. I really don’t know much about hive/beekeeping, though. So sad that we are too far away here in Keene NH – this is a fantastic thing that you are doing – very impressed!!!! We’d love to sign up for 2013, probably one hive. We have a small farm in Chester, NH, and have been thinking about bees for a while now. But, it seems like taking on too much all at once to get going – all the equipment, learning curve, etc. What a great way of getting introduced to bees! Really looking forward to it. Is there something else we need to do? Ps. We just saw you on Chronicle. I am very much interested in signing up for a hive for 2013. I have done some research , but would feel better having an expert get me started. We have a 30 acre property in Brentwood, NH and have lots of flowers and some fruit to pollinate. Let me know when and where to send the deposit. I saw you on Chronicle and I am so excited in having bees. Always wanted them, my uncles used to have them for Sue Bee Honey in the South. I don’t like the thought of beeing stung so this is perfect. We have a small place with lots of flowers, a small garden and want to purchase fruit trees. Sorry to hear they are gone but look forward to getting on your list for 2013.